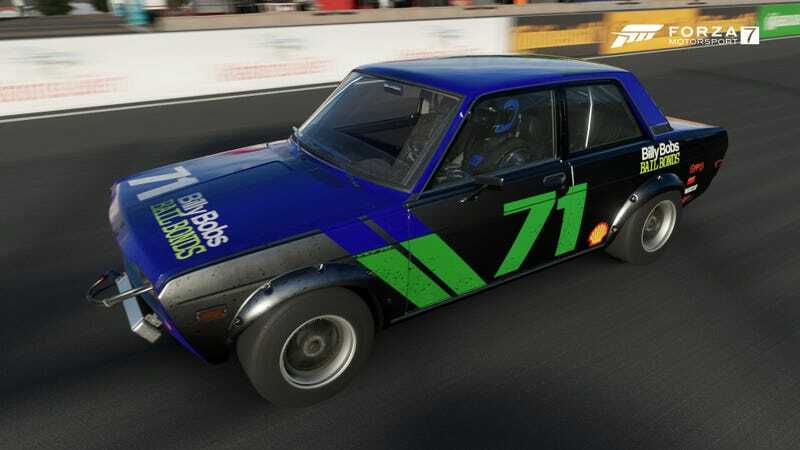 My Forza 7 Oppo Endurance Challenge Datsun keeps getting re-painted. My great-grandfather sold his Pontiac dealership in the early 80's, and he never sponsored racing (that I know of). I like working with quirky cars. I really like how the metal flake came out on this Jaguar.